Our local demolition derby is cancelled this year. Organizers said there wasn’t enough interest, which I guess means there weren’t enough entries since the stands are packed with spectators every year. I’m sad, to be sure, and confused. 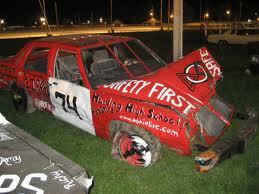 For months some friends and I have been creating a derby car, a scheme hatched at last year’s destruction derby. Not too long after that night we found the perfect carcass of a car and hauled it home on a rented flatbed. We borrowed an engine. We’ve skulked around junkyards. Our car lives in the shop of a friend, our ringleader, the beating heart of the operation. Knowing the goal is to destroy what we create has been a delicious torment. A twisted anticipation. Mostly, we’ve enjoyed rich, sometimes frustrating, time together and haven’t spent too much money. Maybe I’m delusional, but our efforts remind me a little of barn raising, even though our end game is to ruin what our hands have built (but not so much that we can’t reuse the engine and the car). We gather, we plan, we build, we eat, we admire what our joint ideas render for the group. I can’t explain the lack of destruction derby entries, though one of the event organizers bemoaned the recession. 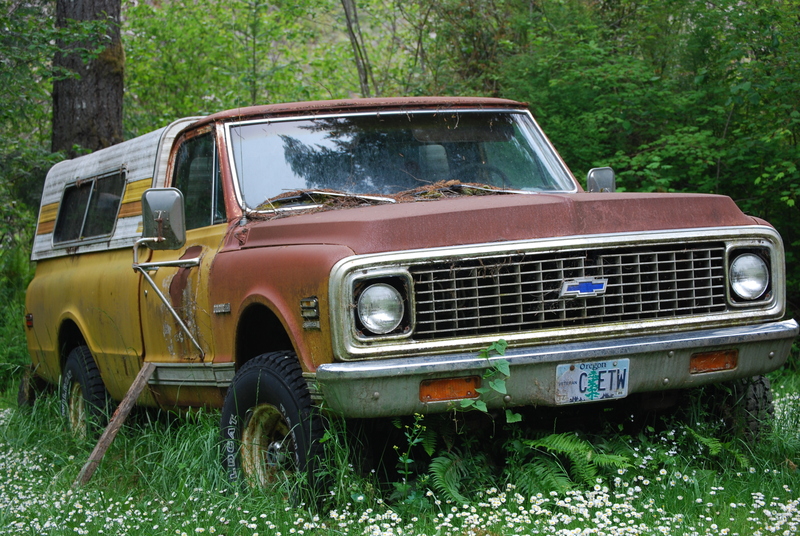 In a listing economy, I think it makes perfect sense to go out and wreck something. But creating a car is about more than this impulse. It’s a way to keep life simple, centered, local. 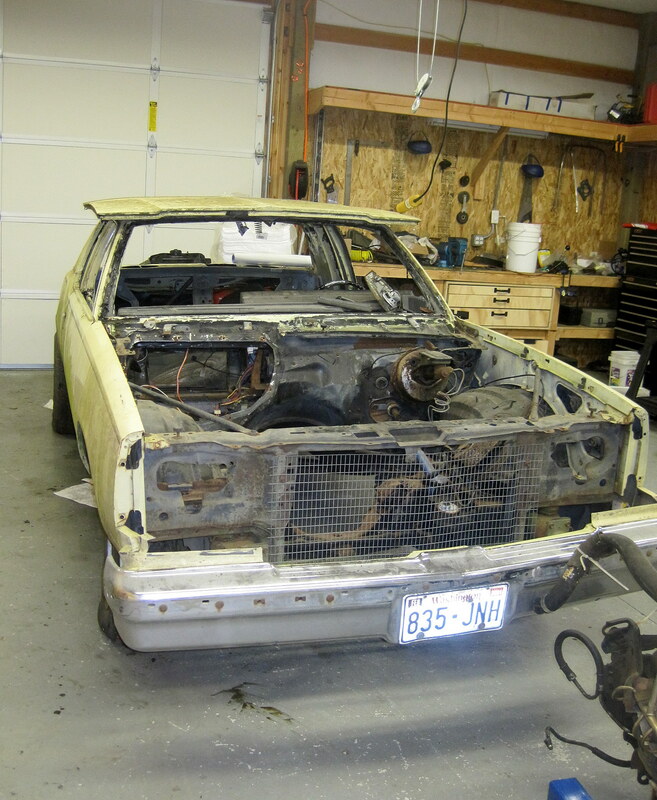 A little money and some sweat equity can make a good derby car, and businesses will often sponsor such a project. As hobbies go, you can’t get one more wholesome than hanging out in a friend’s garage. Heads under the hood of the car, the group of you trying to figure out how to make the thing run with a borrowed engine and some junkyard parts while the smell of motor oil and hand cleaner and beer and music from the beat-up radio on top of the workbench filter in. The garage is the place where mechanical skill and art, invention and logic, friendship and communication intersect. And I haven’t even mentioned the joy a car brings to thousands of spectators, no matter if it dies in the first round. 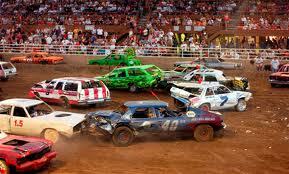 Neighboring counties will host derbies this summer, but we’re not so ambitious that we’ll take our act on the road. Part of the charm of it was always operating entirely on a local level. So. Our car will just have to wait. And so will we. Besides, another year of tinkering on our joint effort will be an alright way to spend the long winter hours.